Prices include windows to one side. Sheds with door in the end have two opening windows. 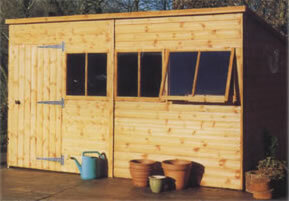 Sheds with door in the front have one opening. Please contact us to place your order in order to confirm which configuration you require.